RHAZEL AKOBEN BATTLE oversees Build Today, Lead Tomorrow; a nonprofit communications and leadership program that teaches youth valuable skills to harness their potential. As a recent graduate of The Horizon Institute, which teaches civic and community engagement, Rhazel among others are treated to a trip to Africa. During the final days of their travels, they enter a city township called Ubuntu. 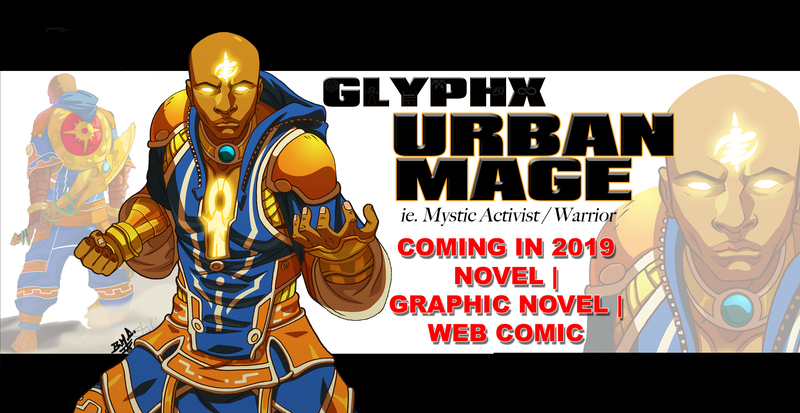 Rhazel experiences mystic and divine revelations that will lead him down the path to become GLYPHX The URBAN MAGE.